This Portable Table Skirt with Countertop is Idea for Job Fairs! 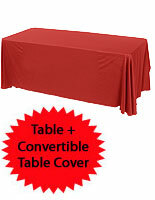 Draw in Visitors and Customers with the Vibrant Red Tablecloth! Add a Linen Table Skirt to Your Presentation for a Professional Look! 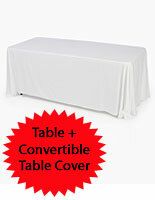 Folding table & tablecloth combination saves you time and money! 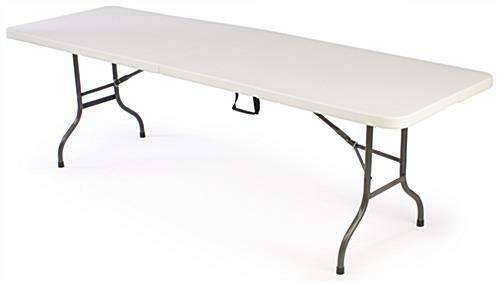 Collapsible legs & carrying handle make this 8-foot-long table portable. 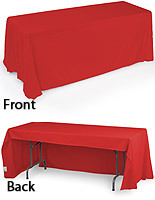 Red tablecloth features hook and loop attachments to convert into a 6-foot-long fitted cover. The table skirt with folding counter is 8-feet-long and provides users with a great amount of space for displaying literature or samples. 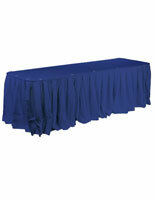 This table skirt has a draped look when used in conjunction with the provided trade show furniture. 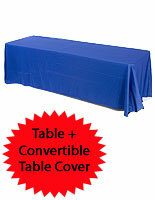 The tablecloth can also be used on smaller, 6-foot-long tables. 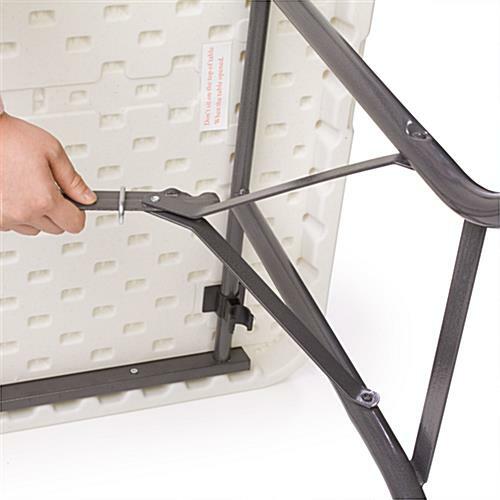 Simply use the hook and loop attachments to instantly convert the 8-foot-long table skirt into a fitted, 6-foot-long cover! This banquet display package can be used in a variety of locations to create a professional-looking presentation. 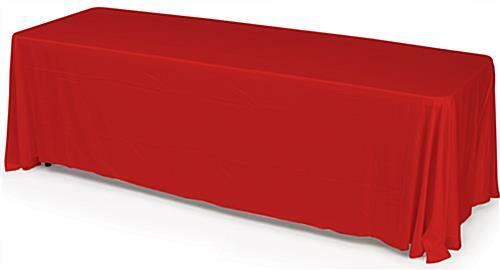 This table skirt is a red tablecloth that is ready for use upon receipt. The tradeshow surface and skirting were designed with portability in mind, as the furniture features collapsible legs and a carrying handle. 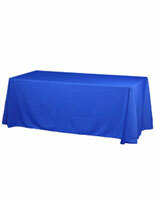 Using this table skirt at trade show events will prominently highlight merchandise or informational literature. The plastic tradeshow furniture and banquet cover will ultimately save you money, as you will no longer need to rent display equipment!